We invite you to come celebrate our Patronal Feast Day us! We will have an evening Divine Liturgy on Wednesday, December 5th 2018, at 6pm followed by a fasting potluck meal. Bring the kids! St Nick will fill their shoes with goodies during the Liturgy, and may stay for photos! On December 6, we remember St. Nicholas the Wonderworker, the fourth-century archbishop of Myra in Lycia (on the southern coast of modern-day Turkey). None of his writings are extant, but his example of Christian generosity, virtue and love endure to this day. St. Nicholas is the living embodiment of the words “faith without works is dead” (James 2:20). In addition to being the patron and protector of our own parish, he is also the patron of two cathedrals in our Archdiocese – Brooklyn and Los Angeles. 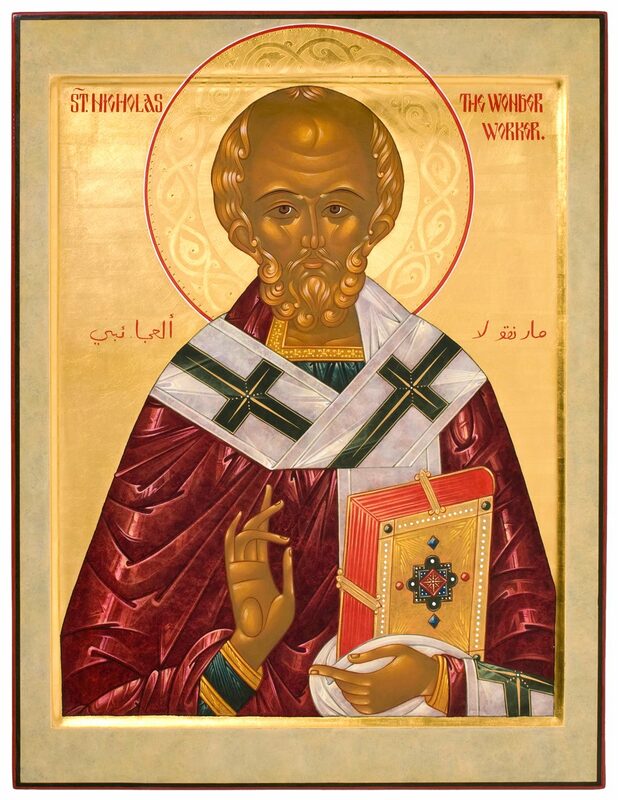 We invite you to learn more about Our Patron Saint, Bishop Nicholas. There is also a large list of links and articles available on the Antiochian Archdiocese page as well.